Another wet day in the Naki! 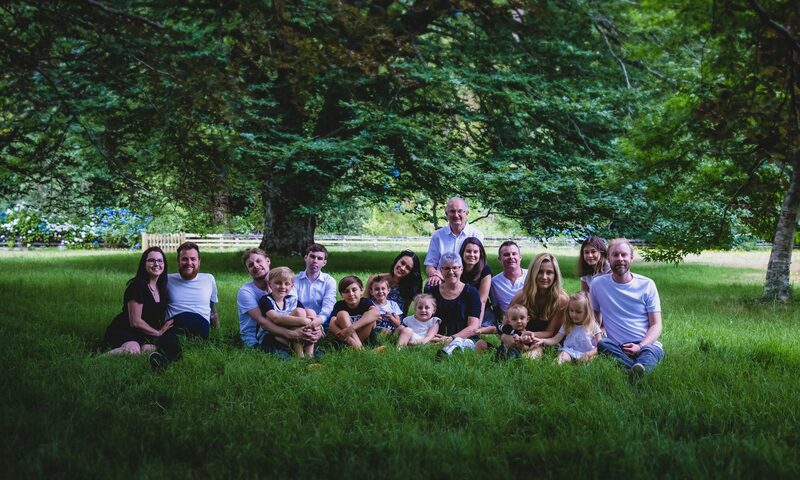 And another day to entertain the grandsons indoors. 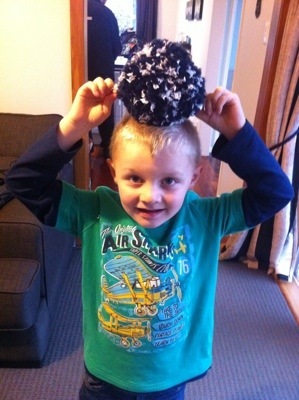 I taught grandaughter G3 how to make a Pom Pom the last time I was in Sydney, so thought that it was the perfect opportunity to teach the boys as well. 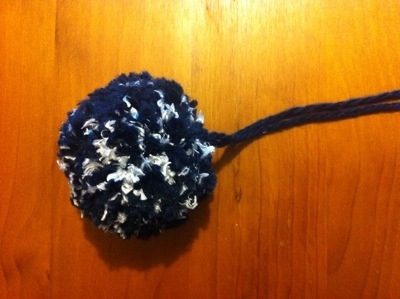 Pom Poms are really easy to make and are a great way of using up all your old balls of wool. 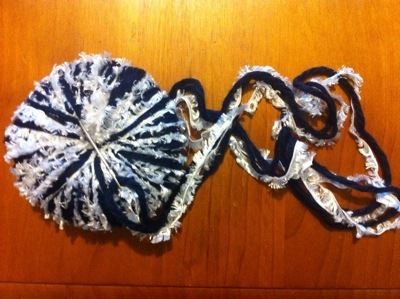 Especially if you only have one ball left of a colour, or a batch, or there isn’t enough to make a whole garment. 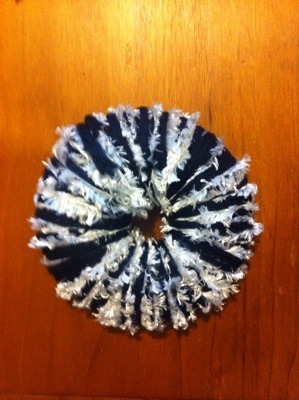 Put the two circles together and start winding the wool around and around. Keep adding more and more wool until the centre is full. Complete filling it up using a darning needle with a super large hole threated with the wool. 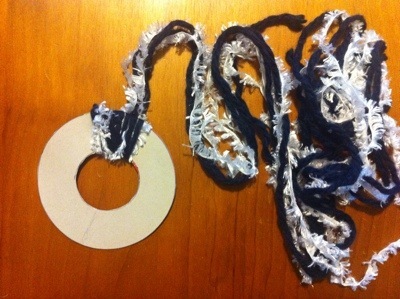 Rip off the cardboard circles and do a little trimming to neaten it up and voila! 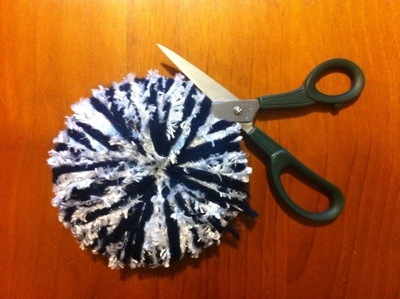 You now have a Pom Pom! 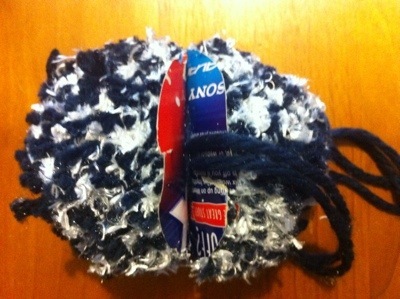 Our Pom Pom was thrown around as a soft inside ball. Great entertainment for two active boys. 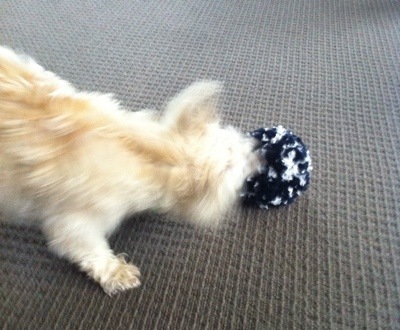 And when the fun of a new Pom Pom had worn off Maisy the dog found it on the lounge floor. She was loving it! Tossing it around like it was made just for her! If I hadn’t rescued it I imagine it would have been destroyed in no time!